As I am sure I have mentioned before, I am a big fan of General Mini Mint, so imagine my pleasure when I had the opportunity to try another one of their products for this review! 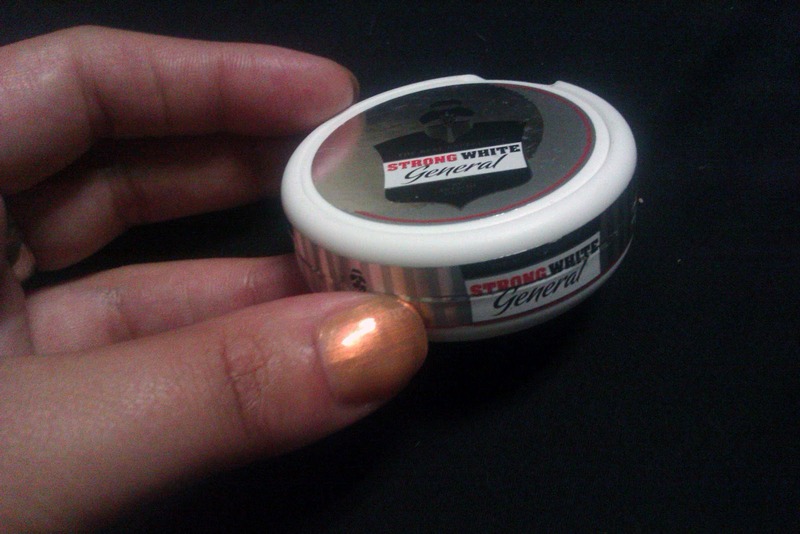 General Strong White Mini Portion comes in a small, attractive white and silver can, boasting 6mg of nicotine per portion. Upon opening the can, I was met with General’s trademark attractive pattern and was pleasantly surprised to see how dainty the portions are. The snus had a pretty strong sweet and sort of citrusy smell which carries into the taste without becoming overwhelming. Once under my lip, I was met with that pleasant burn that I’ve become so fond of. The taste is immediately sort of peppery, with a good tobacco and salt taste throughout. The nicotine hit is substantial, which is surprising given the tiny size of the portions. Lately I have been left wanting more from my mini portions, and this more than satisfies. I kept the portion in for almost an hour without noticing any unpleasant drip. The flavor matures into a savory salty taste after a while. As with other mini portions I’ve tried from General, the bump under my lip was not noticeable, and a small, discreet portion size is very important to me when I am out in public. Overall, I would say that I’m very pleased with General Strong White, and will be ordering more in the future. 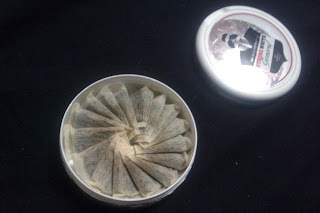 If you’re wanting a strong, flavorful snus in a diminutive package, look no further.